Thank you very much dear Anynomousqueen for taking the time to give us your comments, recommendations and suggestions that allow other travelers to know to make the decision to stay with us based on your hotel experience. It is a pleasure to hear from you again. We hope to see you soon back to receive you and serve you as you deserve, always in an atmosphere of warmth and quality that demands, always with new surprises. Thank you very much dear SassyBluJ for taking the time to give us your comments, recommendations and suggestions that allow other travelers to know to make the decision to stay with us based on your hotel experience. It is a pleasure to hear from you again. We hope to see you soon back to receive you and serve you as you deserve, always in an atmosphere of warmth and quality that demands, always with new surprises. 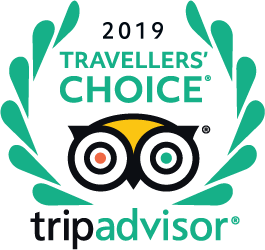 Thank you very much dalemft2017 for taking the time to give us your comments, recommendations and suggestions that allow other travelers to know to make the decision to stay with us based on your hotel experience. It is a pleasure to hear from you again. We hope to see you soon back to receive you and serve you as you deserve, always in an atmosphere of warmth and quality that demands, always with new surprises and a clean place. Thank you very much dear Cabobroma for taking the time to give us your comments, and recommendations about the hotel and the staff, that allow other travelers to know to make the decision to stay with us based on your hotel experience. It is a pleasure to hear from you again. We hope to see you soon back to receive you and serve you as you deserve, always in an atmosphere of warmth and quality that demands, always with new surprises. Does this hotel have a pool, and how can I get happy birthday accommodations in our room? They do not have a pool. They provide beach towels if you would like to go to the beach. And best to email the ladies at reception to ask for any special birthday celebrations. They are very accommodating. Enjoy your stay there. Is the pool finished yet? If not, when will it be finished? Thank you! Hello Andrew F, is not ready yet, it takes advance but the construction is temporarily suspended because we are doing a restaurant, when we finish the restaurant we going to continue with the pool maybe the next year. Will ruta desierto bus stop near the hotel? One reviewer said she was able to take the bus from terminal two, upstairs, where the employees get on - is it really possible to do that? hi, how can i get to your hotel from Los Cabos International airport?